Here is a wireless speaker and guitar display that also serves as a battery-powered amplifier for your favorite audio devices. The Guitar Canvas offers up to 200 watts of stereo sound and includes inputs for a microphone and other gear. 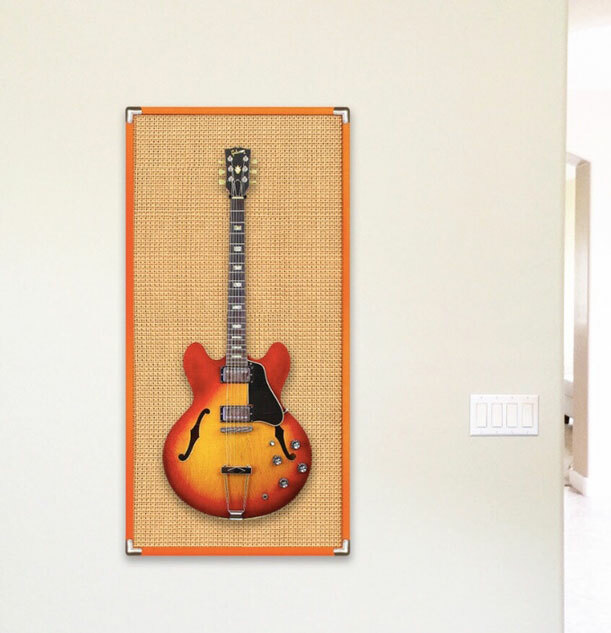 Multiple Guitar Canvases can be synced, allowing you to play music with your friends. Guitar Canvas works for up to 12 hours. It is compatible with electronic drums, keyboards, acoustic & bass guitars, and even smartphones.